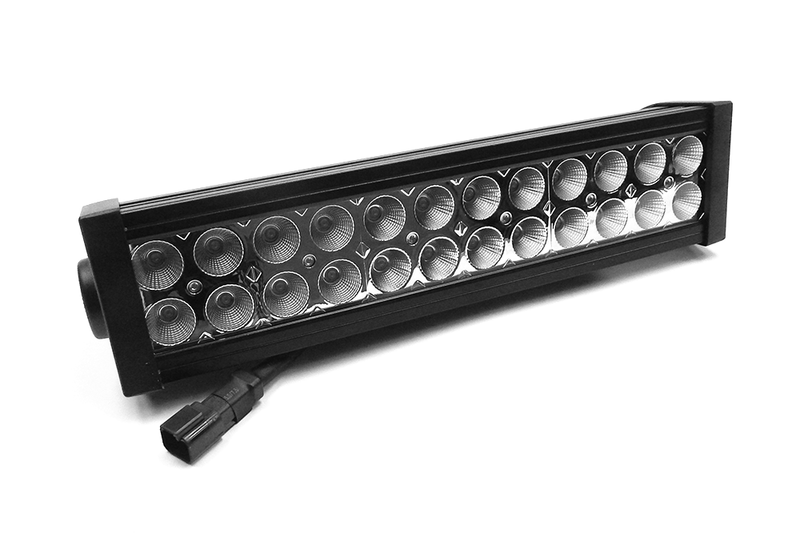 Own the night with Southern Truck's 12-Inch Straight, Dual Row LED Light Bar. 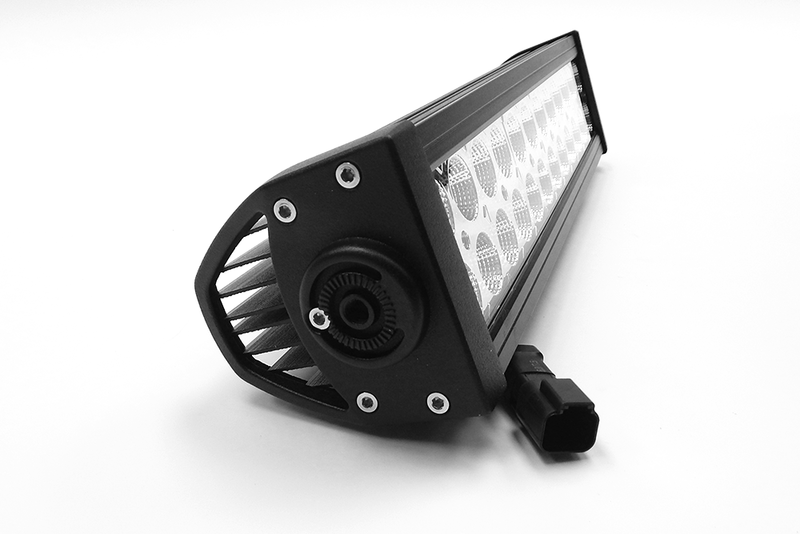 With 6,480 lumens on display, nothing will stand in your way. 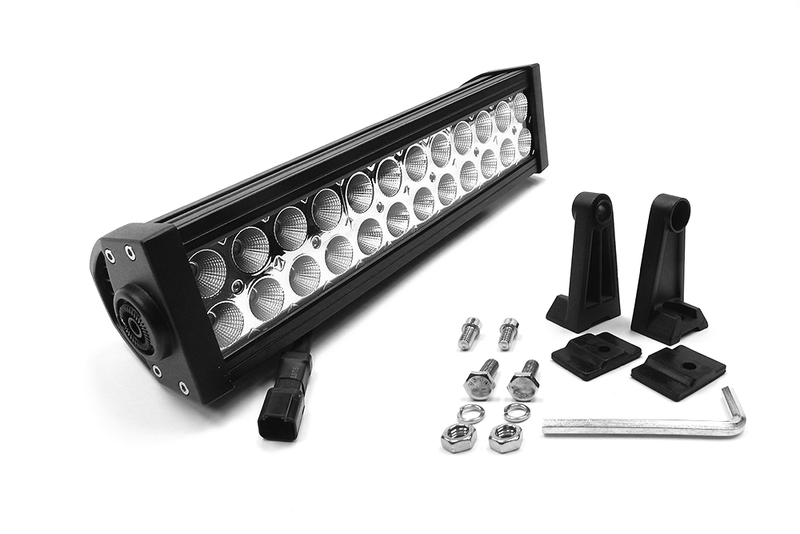 The chrome series panel design delivers a sleek, OEM appearance that compliments your vehicles trim package and accessories (grilles, wheels, bull bars, step bars, mirrors, etc.). 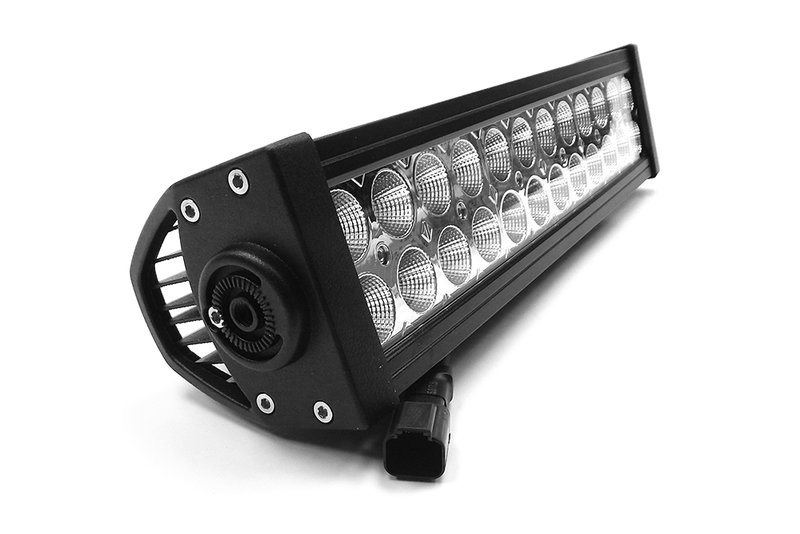 These 12 inch Cree LED straight light bars for trucks do not discriminate in any weather! Our die-cast aluminum housing and premium flat wound wiring harness are protected against all climate conditions.